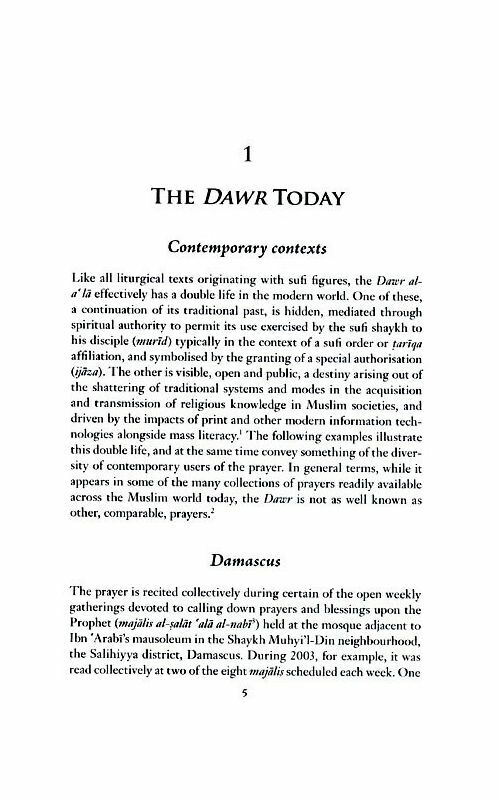 This is the first study of a widely used and much-loved prayer by Ibn ‘Arabi, sometimes recited after the Awrad (The Seven Days of the Heart). 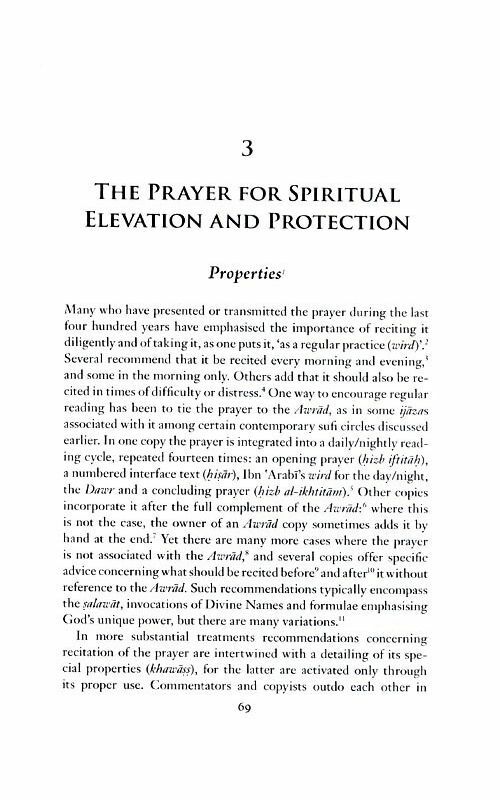 This is the first study of a widely used and much-loved prayer by Ibn ‘Arabi, sometimes recited after the Awrad (The Seven Days of the Heart). 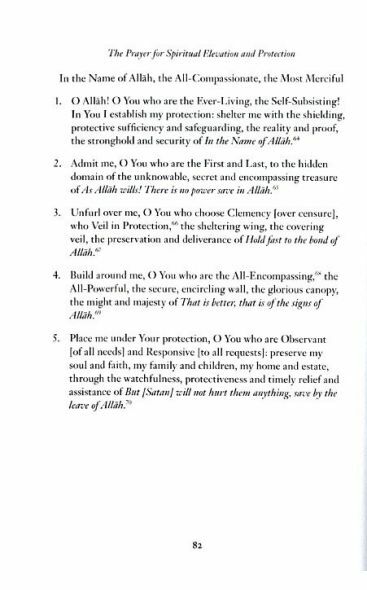 The Dawr al-a’la (The Most Elevated Cycle), also known as the Hizb al-wiqaya (The Prayer of Protection), is a prayer of remarkable power and beauty. It consists of 33 verses, invoking protection through particular Divine Names and phrases from the Quran. 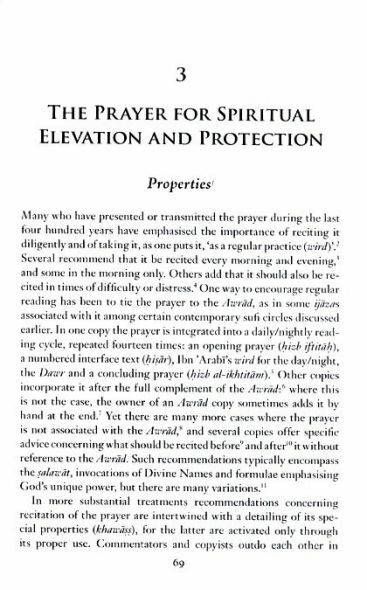 It is said that whoever reads the prayer with sincerity of heart and utter conviction, while making a specific plea, will have their wish granted. 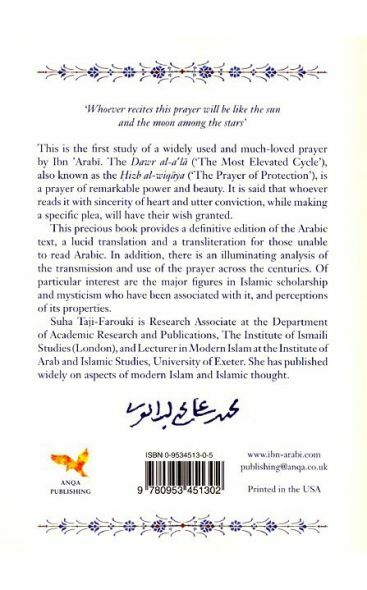 This precious book provides a definitive edition of the Arabic text based on a substantial number of the best manuscript copies, and a lucid translation. A transliteration is also provided for those unable to read Arabic. 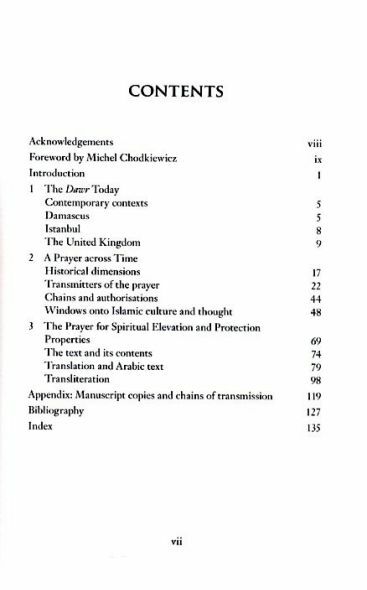 In addition, there is an illuminating analysis of the transmission, presentation, and use of the prayer across the centuries. 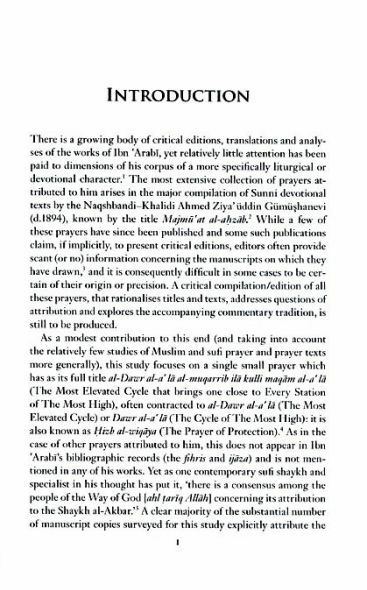 Of particular interest are the major figures in Islamic scholarship and mysticism that have been associated with it, and perceptions of its properties and uses. Muḥyiddin Ibn Arabi (25 July 1165 – 8 November 1240) was an Arab Andalusian Sufi mystic and philosopher. He is renowned by some practitioners of Sufism as "the greatest master" and also as a genuine saint. 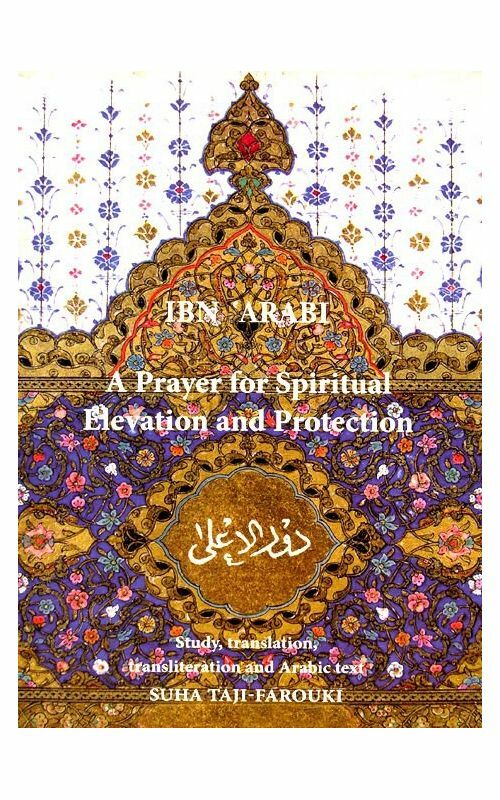 Ibn ‘Arabī’s intellectual training began in Seville in 578 AH. 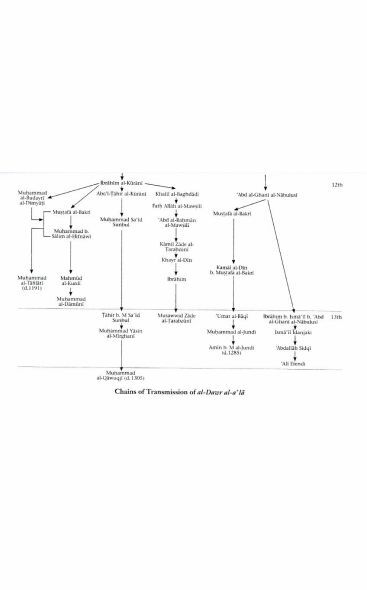 Most of his teachers were the clergy of the Almohad era and some of them held the official posts of Qadir or Khatib. 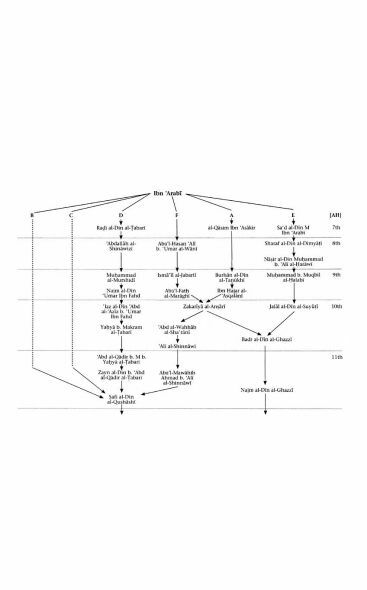 His spiritual mentor in Fes was Mohammed ibn Qasim al-Tamimi. 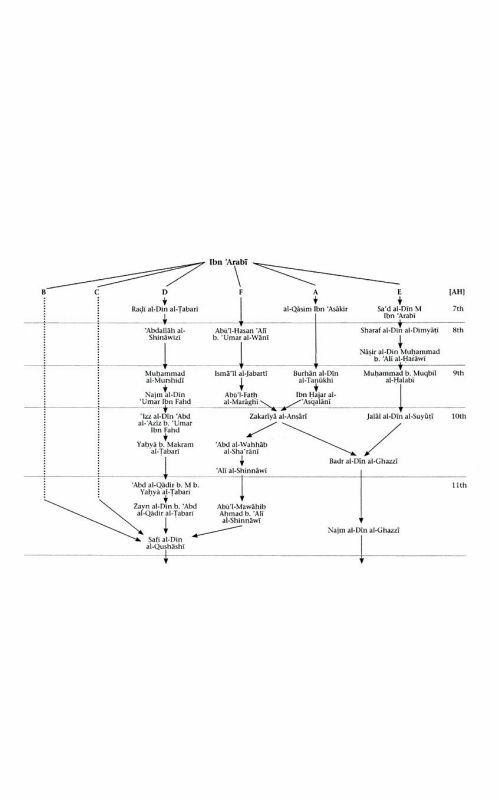 Later in 604 AH, he returned to Mecca where he continued to study and write, spending his time with his friend Abū Shujā bin Rustem and family, including the beautiful Niẓām (II, 376; Hirtenstein 181). 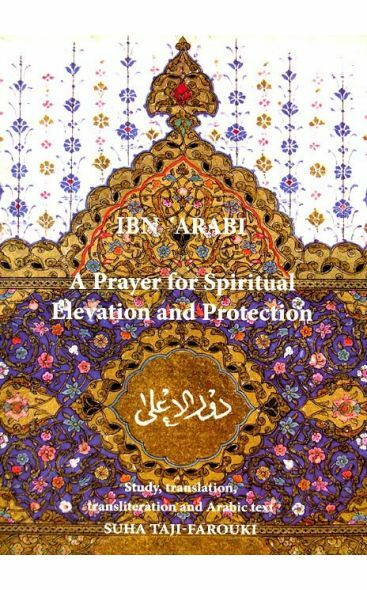 The next 4 to 5 years of Ibn ‘Arabī’s life were spent in these lands and he also kept traveling and holding the reading sessions of his works in his own presence. 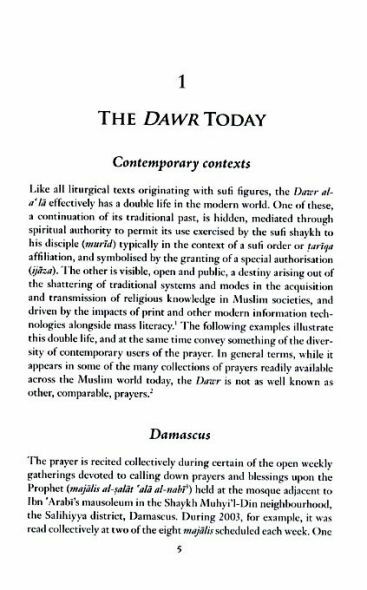 Dr Suha Taji-Farouki is a specialist in modern Islamic thought. 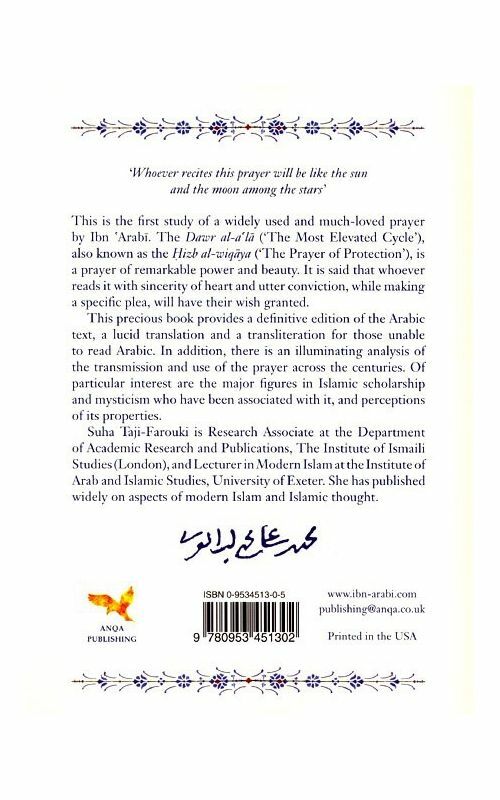 She obtained her Ph.D. in Islamic Studies and Middle Eastern Politics from the University of Exeter in 1993. She is Lecturer in Modern Islam at the Institute of Arab and Islamic Studies, University of Exeter, and a Research Associate at the Institute of Ismaili Studies, London. She has been a Lecturer in Modern Islam at the Centre for Middle Eastern and Islamic Studies at the University of Durham. She has also served as the Secretary of the European Association for Middle Eastern Studies. 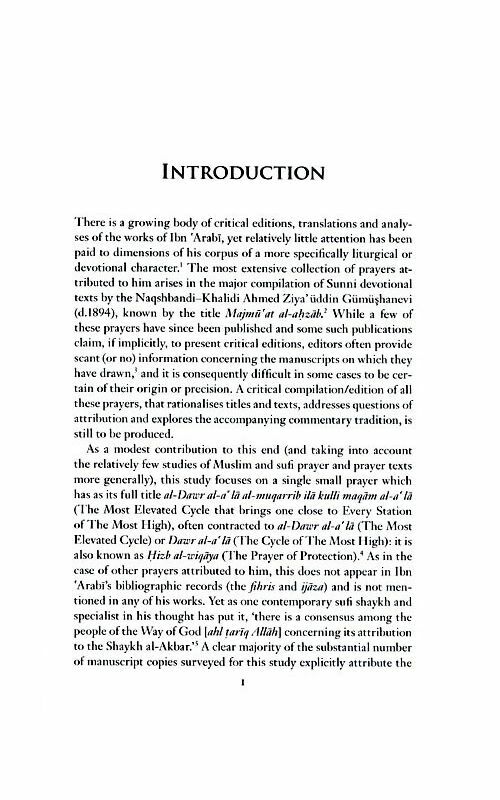 Dr. Taji-Farouki is working on aspects of the legacy of Ibn Arabi in the 20th century.